I'm currently on booktour and more than a little crazed, but I wanted to give attention to the wonderful Amy Sue Nathan and her wonderful debut. Nothing is more exciting than a debut--the promise! The Beginning of a career! So go on out and buy Amy's book--and thank you, Amy for being here. 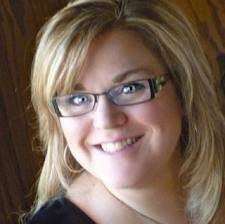 What's it like being a debut author? It’s exhilarating and—you know it’s coming—it’s exhausting. It was exhilarating to write a book, to create something out of nothing but the thoughts and words bouncing around in my head (and I do mean bouncing). I still find it amazing that an idea of mine can be 300 pages long! The publishing process has been fascinating as well, just learning how it all works, how it’s all changing, and figuring how I fit in with all of it. The exhaustion is part wonderment, part worry, part TCB—just taking care of the business of life while all the book stuff is going on. 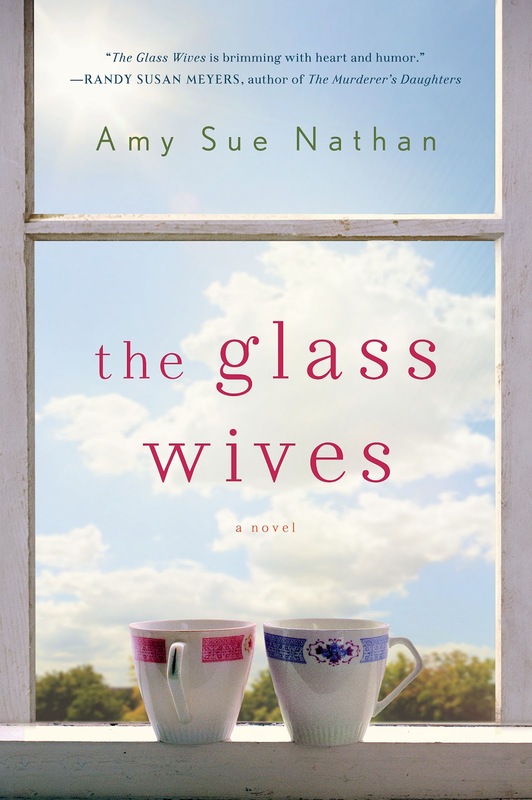 How did The Glass Wives Spark? Did anything surprise you during the writing? What surprised me the most was how the act of writing fiction could just yank me out of myself and plunk me right into a fictional world. I’d see, hear, taste, and smell it as I wrote. The sensations were vivid and visceral and time would often just fly by as I wrote. That’s another reason that the “taking care of business” part of writing and publishing can sometimes add to worry, because no matter how hard I try, I can’t be two places at once, even if that just means in my office, writing and the in the kitchen, cooking. It’s haphazardly structured. You see, I’m a real creature of habit who doesn’t always have the option of sticking to a schedule. So I work on going with the flow, using what I know best about myself. I write best if I start early in the day (I started answering these questions at 5:30 am). I can finish a project in the afternoon or evening, but I can’t start one. On the days I have my way, which aren’t many, I write fiction until noon or one o’clock, eat lunch, and then work on writing essays, blog posts, interviews, etc. I can do techie stuff at night like formatting or research. I also tend to write in big chunks when I can, spending ten hours on a Saturday or Sunday just writing, and then catching up on something else on Monday. I think (I hope) it all evens out in the end. Do you outline or use story structure or do you wait for the Muse? 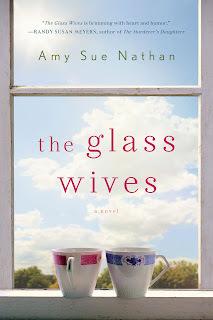 When I wrote The Glass Wives, I outlined as I went along. Meaning, I wrote for the day, and then outlined what I needed to write next. That got me through every draft of the book, and there were at least six full drafts. I have a few books “under the bed” as they say, and those are ones I consider practice books and those are ones I “just wrote.” They came during the waiting periods for The Glass Wives, while waiting for either my agent or editor feedback. Now, with my current WIP, I’m using an outline. I liked mapping out the story ahead of time. 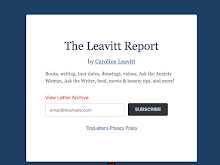 I’ll admit that I kept going in and changing things, and as I write, things change, but it seems to give me the basis for what I need without me having to constantly ask myself what’s next. Maybe like having a really good assistant? I don’t know, I don’t have one of those! I think as a debut author my obsession is getting the word out about my book when there are so many good books out there vying for attention. Sometimes I also obsess about perception, but really need to stop doing that. I know it’s sometimes hard for people to understand that having a book published isn’t just a tick mark on my bucket list. It’s not just something I wanted to accomplish by the time I turned fifty (I’m forty-nine). 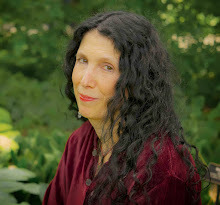 My deep desire is to be a “working author” and just write books until I can’t write them anymore is, and always has been, a priority. Since the springboard for the novel was in truth, many people ask how my kids feel about the book. My kids, who are twenty-one and eighteen, knew all along that I was writing a book about a divorced mom whose ex-husband died. They got how that was almost “too good to pass up” as a starting point to a story. My daughter read the book and then totally got how it’s fiction, which put her at ease. After that, I stopped caring if neighbors or friends or family thought it was our story, because my daughter knew it wasn’t. She did call me out on an action of hers that I used in the book. “Hey, I know where you got that!” And she loved it because it worked, because it was used in context with the book and not at all how it had happened in real life. My son is not a big reader, but I think that the fact that he trusts me, coupled with the fact that his sister read the book, puts him at ease. And they’re both really excited about the whole “getting published and having books in actual bookstores” thing. They’re proud of me and that’s really cool.